Bullish developments for snow lovers and winter weather lovers on today’s afternoon model runs. Hints of this appeared over the last few days but today’s runs of the European in particular got my attention on two fronts. First off I will address the longer term prospects and then address the short term issues. 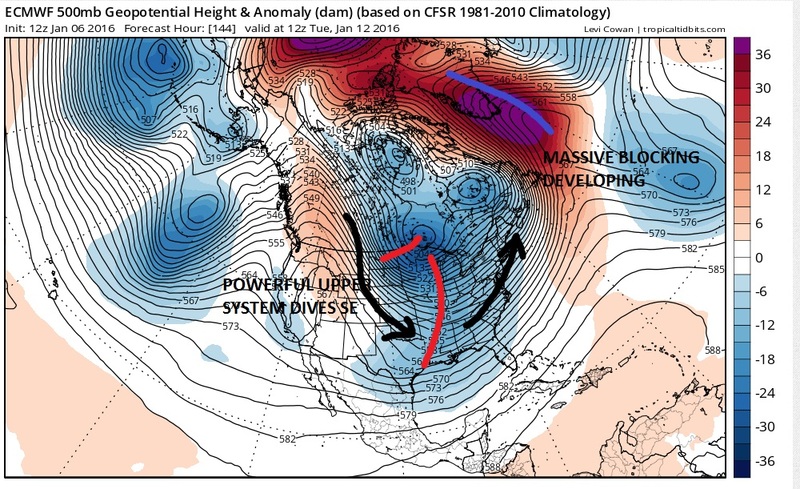 Today’s European model develops a massive Greenland high blocking pattern. In fact the strength of this blocking high is pretty amazing and IF its right, it is probably at the top of the scale. This is precisely the kind of look that snow lovers want to see The block is intense and it keeps the polar vortex locked up in Eastern Canada and it is also developing a powerful split flow subtropical jet in the west. If this is correct it opens the door for snow. The refrigerator door for cold is already open so that part of the equation is set. 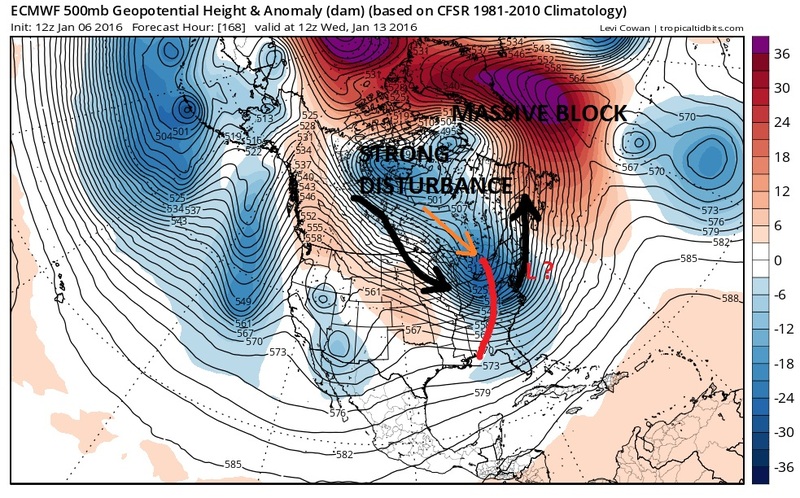 Now its a matter of getting storm action along the southern jet stream and how they come together down the road. Now for the shorter term this weekend’s weather system tracking far to the west winds up being a good thing. The deeper it gets the better because it shifts the center of action further east. That has been a missing piece of the puzzle. By cutting west it basically adjusts the pattern eastward putting colder arctic air in place or at least nearby. The vortex in Eastern Canada has no place to go so it basically rotates around and this opens the door for something to happen in the middle of next week. I am going to say that I do not buy the GFS model idea of a southern stream system coming up next Wednesday. Instead I have become more interested in the system in the north. That looks to be a powerhouse rotating around the vortex. IF (A BIG IF) this disturbance digs a little stronger and digs a little bit more it could force storm development just off the coast. Today’s model run does develop a surface low and the argument in the literal model translation would be it would be just a little bit too far east (but not by much). A little more of a vigorous system in the northern stream and the outcome could be much different. The time frame for this would be next Tuesday night and Wednesday. The GFS has a different idea on this in that it has a southern stream system getting involved. 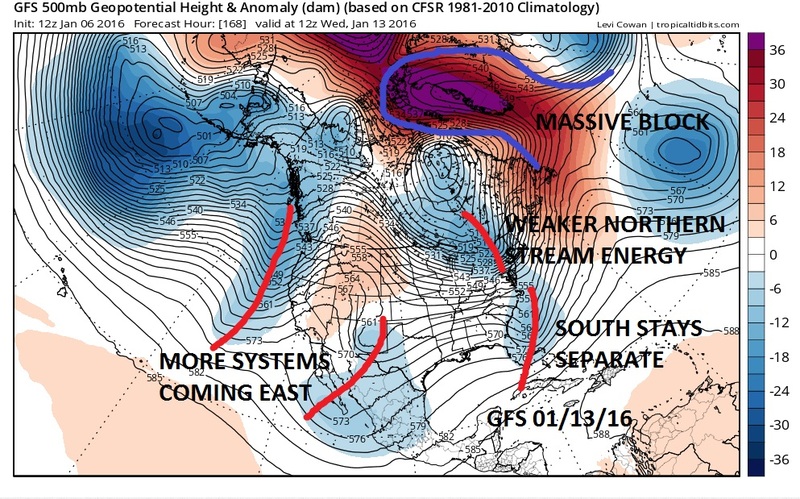 Ultimate the GFS model keeps the two systems separate. Right now I am going to discount the southern system idea. I think that eventually that subtropical jet will play a big role after this system moves by as I noted at the very beginning. So going forward we need to resolve which model is right because the ideas are similar but the outcomes are different. 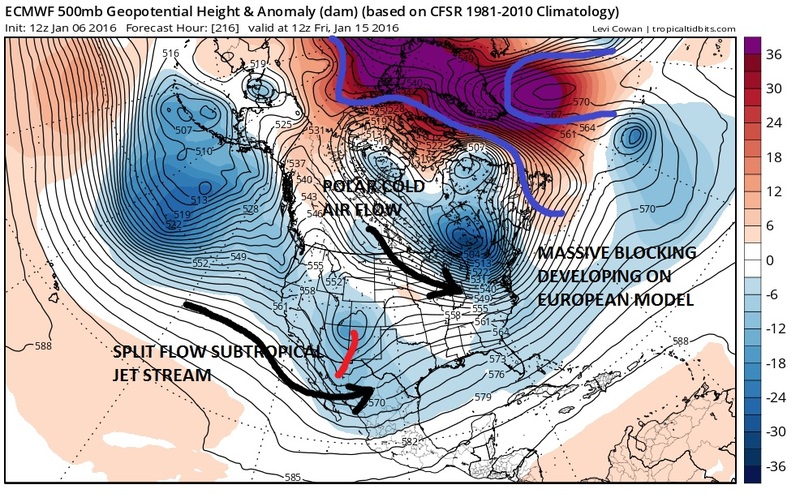 Im going for the European model approach at this early stage and discounting the GFS southern stream view. I could be wrong on this obviously. Here is my video analysis of last night’s GFS model run.